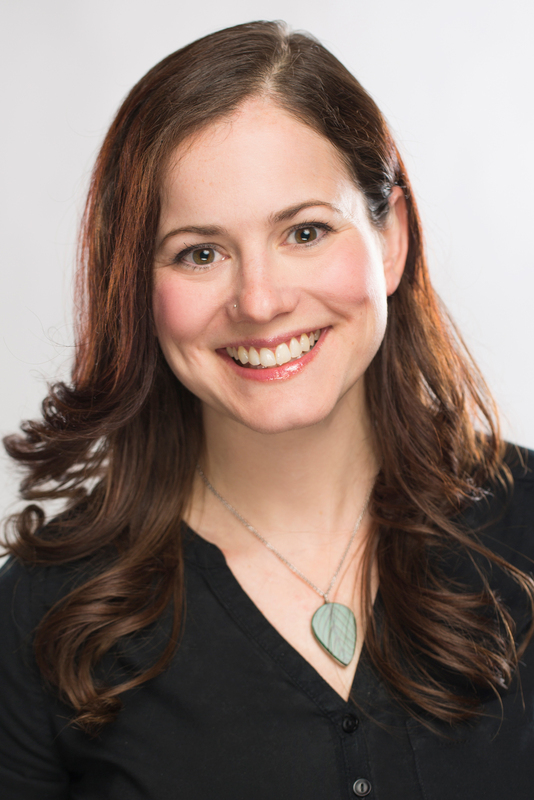 Allison Duncan first saw glassmaking at the Blenko Glass Factory, in West Virginia, when she was 10 years old. Even though at that time she didn’t know that’s what she wanted to do, “it definitely left an impact,” she says. Now Allison oversees special projects at The Studio. At The Studio, I am the special projects manager, which basically means that I work on an array of different types of projects. I coordinate group glassmaking programs, support artist residencies and communicate with many departments of the museum for various projects. I came to Corning as a glassmaker, instructing people working with glass for the first time and that was really exciting. The position I am in now oversees programs like that. 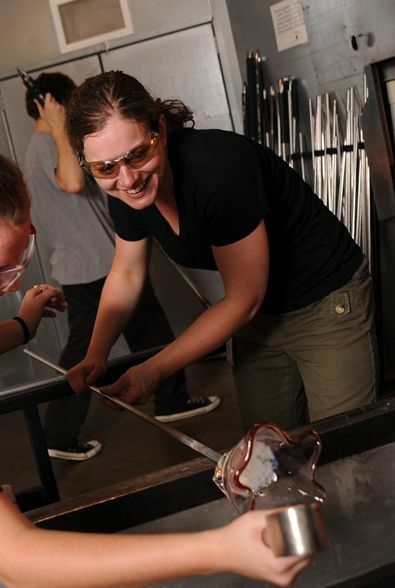 It’s fun to match up instructors with the right group, for example, or to give glass artists here an opportunity to share what they love with the public. I’m always working on projects. I like to work with a lot of different materials. Recently, I’ve been experimenting with photography, fabric dying and printmaking. I love to see what different materials and processes have to offer. 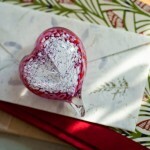 I love to combine glass with other materials too. I had a phase of making glass terrariums, and filling them with plants. A series of mold blown glass houses, allowed me to work with different materials in order to create the final glass form. I recently finished making a big batch of whiskey bottles, with my partner, for a local distillery. And I’m looking forward to a few little flameworking projects at my home studio soon. …I’m really all over the place. What inspires you in your own work? Nature is my primary inspiration. I think that glass lends itself well to organic forms, especially when it is sculpted hot. Often, I’m inspired simply by the possibilities of the material and the general excitement of the creative process. 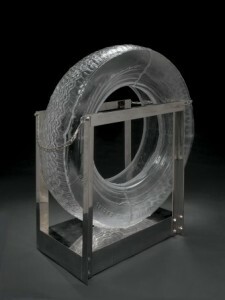 Tire, Robert Rauschenberg, designed 1995-1996 and made in 2005. Gift in part of Daniel Greenberg, Susan Steinhauser, and The Greenberg Foundation, and the F. M. Kirby Foundation, 2007.4.5. What is your favorite piece in the Museum’s collection? My favorite glass piece in the museum is the Robert Rauschenberg tire. He’s not really a “glass artist,” he’s really known for being a painter, a mixed media artist. I love seeing artists from outside the field come and play with the material. Is there a technique or process that you haven’t tried yet but would like to? There are a lot of things I haven’t tried. When I first got into glass I realized that there were so many techniques, that I could never get bored – there are so many different ways to work with the material. I would like to learn more about engraving because that’s something I really haven’t even played with. What is your favorite part of the museum as a whole? I definitely love The Studio. And I love the contemporary galleries. Both places allow me to see how artists continue to push the boundaries of the material. If you were in a circus, what act would you want to be? 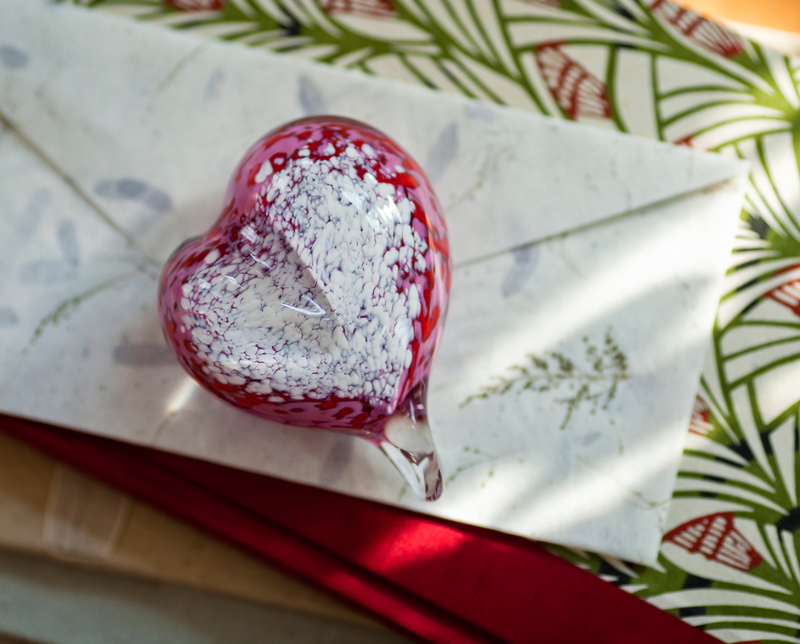 Don’t miss your chance to make your own glass heart project in The Studio this weekend.